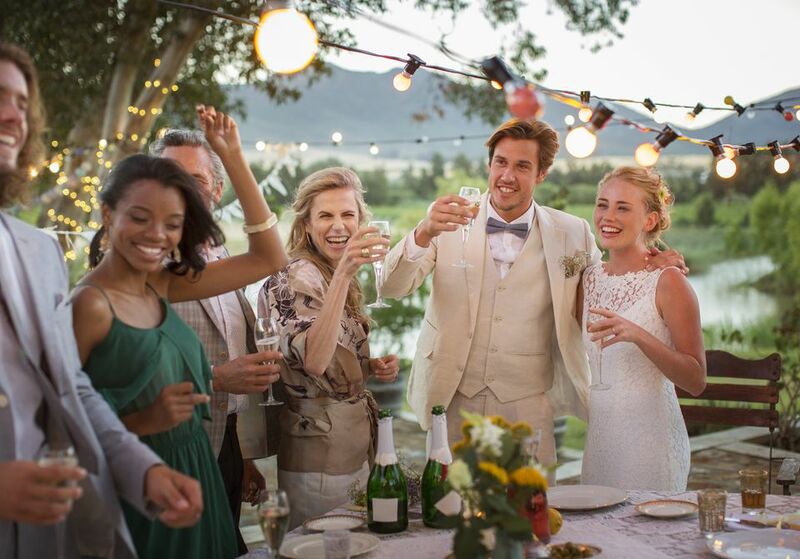 Whether you are planning a destination wedding in Nashville or you already live in the area, you will surely find here the picture-perfect wedding setting that everyone seeks. Nashville has many unique wedding venues that provide a setting to fit anyone's style. Hundreds of local churches in Nashville are available for traditional wedding nuptials, but there are many other options. When searching for that memorable and captivating place to say "I do," look into the following lovely choices. You have seen those grand old mansions and historic homes all over the Nashville area, but have you ever considered getting married in one? Several serve exclusively as weddings venues. They are the naturally perfect place for a Southern belle-style wedding. Most of these mansions have been fully restored to their original glory. Many can be rented by the hour. The price range varies dramatically from place to place. The number of amenities you would like also affect price. Ambrose House: This Victorian home has all the period details -- crown molding, brick, copper, warm woods, and 12-foot ceilings. Belle Meade Mansion: This plantation home sits on what was once a thoroughbred horse farm. Belmont Mansion: This 1853 elaborate Italianate house has 36 rooms and was a Union Army headquarters during the Civil War. Cedarwood: This antebellum farmhouse has a peaceful countryside setting despite being close to downtown Nashville. Falcon Rest Mansion & Gardens: This 1896 mansion has a Victorian tea room perfect for relaxing with your bridal party. Riverwood Mansion: This 1790s Greek Revival-style house is one of the area's oldest and biggest historical homes. Two Rivers Mansion: Built in 1859 in the Italianate style, the Two Rivers Mansion will keep your wedding guests occupied at its golf course, water park, skate park, and picnic areas. Spring Haven Mansion: This 1825 plantation house is similar to President Andrew Jackson's The Hermitage, which is also found in the Nashville area. Stone Hall Mansion: This Colonial revival built in 1918 overlooks the Stones River Greenway and a garden with more than 40 types of plants, trees, and flowers. You may have pictured having your wedding at a European castle, but did you ever think you could have a castle wedding in the United States, too? In the Nashville area, you can actually choose from two castles for your storybook wedding. Historic Rock Castle: Though it may look more like a mansion than a true castle, this 200-plus-year-old Federal-style structure will still provide a beautifully elegant setting for your ceremony. Hundred Oaks Castle: This is only one of 13 remaining castles in North America. Located in Winchester, Tennessee, it is less than two hours from Nashville. Hundred Oaks Castle has a unique history: It was once a plantation farmhouse and later a monastery. With its two towers, this would be an excellent choice for a fairytale wedding. A bed and breakfast can provide one of the most picturesque wedding backdrops. Many local bed and breakfasts have beautifully tended gardens and well-maintained grounds that are breathtaking. In some instances, you can rent all of the rooms in a bed and breakfast for several days at a time. This is a great way to provide for out-of-town guests. Also by having access for several days before the nuptials, you are sure to get plenty of precious time for last-minute wedding preparations as well as a great gathering place for the bridal party. Most of all, proprietors are incredibly helpful, knowledgeable, and accommodating to their guests. Some proprietors are also ordained ministers who can officiate your ceremony, thereby saving you one less thing to do on your planning list. Looking for a stunning outdoor setting for your wedding? One of Nashville's many parks may provide the ideal location for your special day. The city's local government park system offers wedding permits for a reasonable fee. One of these beautiful city parks is Centennial Park. It is the home of the Nashville Parthenon and has been a favorite nuptial site for many couples through the years. The main wedding site in the park is within the beautiful botanical gardens, which provide an absolutely breathtaking garden setting. The floral and fauna surroundings accent any elegant event and add a stunning backdrop to wedding photos. A traditional chapel wedding offers a spiritual setting that few other wedding venues can. Luckily, Nashville has many chapels to choose from. Some chapels can take care of an entire wedding right down to the officiant. It doesn't get much easier than this. The Chapel in Nashville: You may have seen this beautiful, well-known chapel in music videos, movies, or photo shoots. Rhinestone Wedding Chapel: Get married by Elvis in this Las Vegas-style venue or opt for a traditional wedding. Wightman Chapel: This chapel on the historic Scarritt Bennett College campus has won many awards.